Unlike men, women tend to have very minute and subtle signs of the issues related to the heart. This is a major reason why so many women tend to take it as a much smaller health issue to deal. Before we proceed with the necessary steps to take during heart-related emergencies, it is very important that one should understand the possible signs of heart attack that may be ignored. Some quick signs to identify heart attacks is severe chest pain, a pain in the chest which lasts for 10 minutes or longer. Etc. however, the heart attacks may also occur during routine activities with minor signs like the pain which comes and goes causing squeezing feel, pain in arm or jaws (sometimes even in neck and back), breath shortness, lack of energy, cold sweating, nausea etc. in all of these conditions, it can make a difference between life and death if you would follow on these quick tips. Call emergency services: the first thing which you must do is reach for emergency services so that you can be immediately transferred to the nearest medical facility. Generally, women think the signs to be as the effect of acid reflux or similar stomach issues. But you must never wait or try to drive on your own in such condition. So, it is necessary to reach for emergency assistance. The difference in symptoms: the difference of symptoms in men and women is mistaken very often by people. Men usually face blocking of arteries while in women it happens in the smaller arteries which are branched from coronary arteries which lead to angina. This can occur more frequently in young women. Consult a doctor: the heart diseases occur when you start to develop a blockage in arteries with deposition of fatty substances. The deposition over the time leads to the blockage to blood flow, therefore, it becomes important for people who are having a high body fat percentage or obesity should consult a doctor to identify any heart syndrome. Protecting heart: women are required to take care of their heart by following the practices that could help reduce the risks. 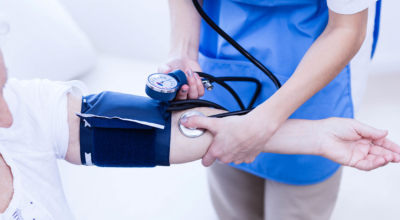 You must ask your medical expert to help you control any issue of blood pressure and cholesterol. However, the right prescription and medications from the reputed Medical Supply Store could be of great help in getting maximum benefits and take over any side effects.